Owen John Baggett (August 29, 1920 – July 27, 2006) was a second lieutenant in the USAAF 7th Bomb Group based at Pandaveswar, in India, during the World War 2. He was credited for shooting down a Japanese A6M Zero with a M1911A1 Pistol while still in his parachute at 5,000 ft.
As the story goes, 2 Lt. Owen John Baggett was the co-pilot of a B-24 Liberator bomber with First Lieutenant Lloyd Jensen as Pilot. They were part of a flight of B-24 Liberators with a mission to bomb a railroad bridge in Burma on March 31, 1943. The bridge in question was situated in Pyinmana between the garden spots of Mandalay and Rangoon, and quite close to an enemy fighter base loaded with Zeros. 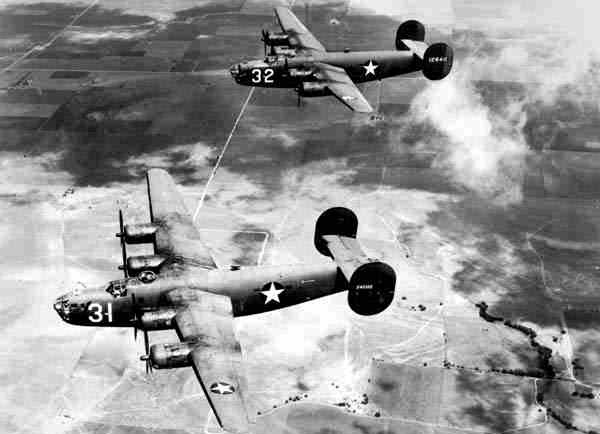 While on their initial bombing run, their B-24 came under fire from a squadron of Zeros and caught fire. The crew fought the flames but unfortunately a ruptured oxygen tanked fanned the flames that quickly spread and the entire crew had to bail out. Baggett was one of the last ones out of the crippled bomber and, as he floated under his parachute canopy, he counted four other parachutes. Apparently everyone made it out of the B-24 in good shape. Within seconds, however, the bomber exploded and the Japanese pilots turned their attention to the parachuting crewmembers. 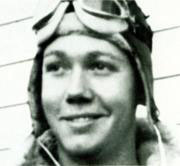 Baggett was grazed by a bullet from one of the enemy fighters and pretended to be dead by hanging limp under his chute. He had his Colt M1911A1 in his right hand hidden by his leg. At around 5,000 feet in altitude the Japanese Zero slowed to nearly stall speed and flew right up to Baggett, where the pilot slid his canopy back to get a closer look. At that very instant Baggett raised the pistol and fired four rounds right at the open cockpit as the Zero whizzed by just a few feet away from him. The Zero immediately stalled and spun away out of control. Baggett landed safely and hid from the enemy ground forces, but he and his fellow crewmembers were eventually captured and sent to a POW camp near Singapore where they endured extreme hardships for two full years. While in the POW camp, Baggett befriended another American, Col. Harry Melton of the 311th Fighter Group. Colonel Melton had also been shot down and captured. Melton had learned from a Japanese colonel in the camp that the Zero pilot who attacked Baggett had crashed, killed by a bullet to the head. Col. Melton unfortunately died while on board a hell ship that was torpedoed by an American submarine and sunk. As it turned out, since there were no friendly fighter aircraft in the vicinity of the incident, there was no other plausible explanation for the death of that Zero pilot. 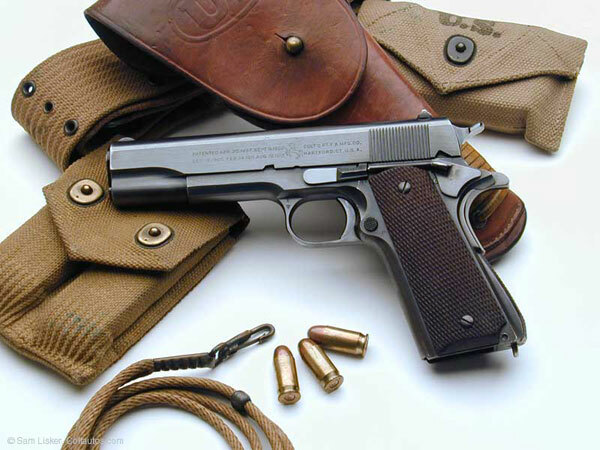 Second Lieutenant Owen Baggett has been credited with the destruction of an enemy fighter over hostile territory by using his service issued Colt M1911A1. After 30 months captivity, he and 37 other POW’s were liberated by 8 OSS agents who parachuted into Singapore. Baggett retired from the Air Force as a colonel and later worked as a defense contractor manager for Litton. He died in his home at San Antonio, Texas on July 27, 2006.